So the other day I was told something very interesting and it got me thinking. I was told “You say NO a lot and you need to stop doing that”. I was actually not surprised that I was told I say no a lot. I will explain why in a minute. I was more surprised that someone wanted me to become more of a “yes man”. Here is a little background and some insight into why I think this is an important topic. The funny thing is I do say YES a lot to many things, but the perception is that it’s always a no, and as we know, perception is always reality right? 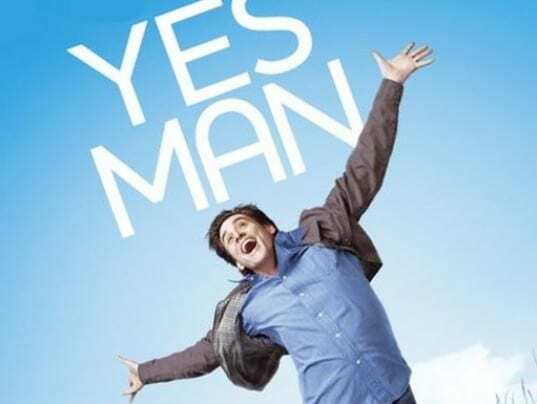 If you have every seen the movie “Yes Man” you might recall the amount of trouble Jim Carry’s character gets into by simply saying “yes” to everything. A long time ago a very successful executive mentor and friend actually told me one of my best traits was the ability to actually say “No” instead of always saying yes. He LOVED the fact that I was not just a yes man on his team. There is a fundamental reason I do this and it has to do with time management. More often than not I see a lot of people always say YES, I’ll do that! Eventually they take on so much that one of a number of things happen. The inherent problem is many people don’t know how to actually manage their own time. This is actually something I learned to do long ago. There is a notion of “under-promise and over-deliver”. I have lived that for much of my career. However, the realization is that in order to do that, you need to know when to say no to projects so that you can manage your time to focus on the ones you have said yes to. let me put it in another context. Let’s say you have a medical issue that requires major surgery. You go to a couple of doctors, and both are equally qualified on paper. However, one of them ACTUALLY says, I simply cannot take your case right now, where the other jumps on it without question. You are shocked at the “NO” from the other doctor so you inquire. He responds with something to the effect of “I pride myself on making sure I can only take the cases I can fully devote my attention to.”. The other doctor simply takes on everything without question, maybe to add to his resume maybe just to have more surgeries, who knows. Would you be concerned with the quality of the “yes man” and more interested in the one that actually denied you? I’d personally respect the one for turning me down because it actually means his work is probably top-notch and near perfect as much as it could be. I’d hope to find someone with the same perspective that has the time to take on my case and question going to the other person just because it’s the only option. Okay, It’s not a perfect analogy, but this is my simple premise. I evaluate everything I am currently working, the new requests, and many times I say yes, and others I say no. The problem is the people who get the “no” are probably offended in some way. It’s actually a no win situation if you think about it. The people who got the yes are happy but the people who got turned down are ultimately hurt or offended. So what is my point here? I will never just say yes to everything. It’s impossible for me to do so and produce the quality work I try to hold myself too. I know this may make me sound like a self-centered jerk, but it’s not the case, I’m really simply just trying to manage my own time for my own capacity. Really, what’s wrong with that? I think too many people say yes to everything and then things suffer as a result. I’ve learned to manage my time well, and in the process complete projects and tasks, but the trade-off is knowing when to say yes or no. I am truly sorry if you ask me to do something and you are on the other end of a “No”. It’s not that I don’t think your project is worth while, it just means I am managing my time based on what is already in the pipeline and other requests coming in. To all of you that do just say yes to everything….maybe you will evaluate your own time management differently. I will say one final thing that I so have a process of deciding yes or no, it’s not in fact a dart board or a coin flip. Someone in the community felt I should mention that as they said they do not view me as an inNOvation guy, which I don’t want to give that impression. I make educated decisions based on a number a variables from time, to impact, or value to the company. I’ve said no to REALLY good ideas and opportunities because I knew I would not have the bandwidth to produce quality materials for the opportunity. Sometimes it’s a trade off for certain.